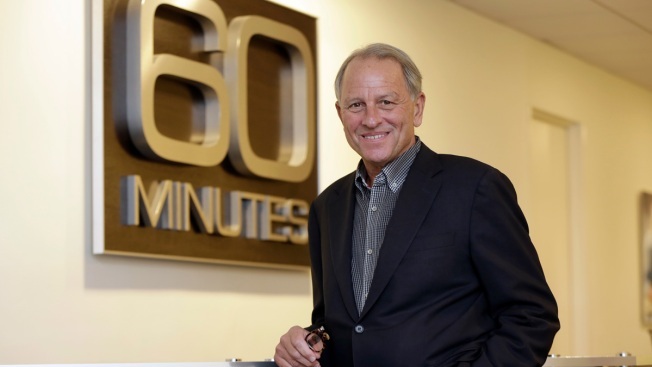 In a Tuesday, Sept. 12, 2017 file photo, "60 Minutes" Executive Producer Jeff Fager poses for a photo at the "60 Minutes" offices, in New York. Fager is delaying his return from vacation until a probe into sexual misconduct claims wraps up. CBS hired two outside law firms to investigate CEO Les Moonves after a New Yorker article published claims of sexual misconduct from six women spanning three decades. The article also contained allegations of inappropriate behavior by Fager. Fager has denied any wrongdoing. Meanwhile, CBS Entertainment President Kelly Kahl told reporters on Sunday that CBS isn't saying it's perfect and that there's room for improvement in any large company. The executives are dealing with fallout from a scandal after allegations against the executive producer, Jeff Fager, and CBS CEO Les Moonves appeared in a New Yorker article last month. CBS hired two outside law firms to investigate claims of sexual misconduct from several women spanning three decades at the company. While most of the article focused on Moonves, the article also contained allegations of inappropriate behavior by Fager. CBS is keeping Moonves in place during the investigation. CBS has not said whether the investigation involves Fager, but on Sunday it said he will not return from his scheduled vacation on Monday as planned. "Having heard the investigation will be wrapping up soon, Jeff has decided to stay on vacation," CBS News said in a statement. The company declined to comment on when the investigation might end. Against that backdrop, Kahl appeared Sunday at the Television Critics Association's summer meeting in Beverly Hills, California. He was there to promote the network's fall season lineup, including its much-anticipated reboot of "Murphy Brown." Instead, he fielded a barrage of questions about Moonves and the effectiveness of CBS policies involving misbehavior. "I've had many female colleagues come to me this week who've been saddened about what they're read about our company. They said it does not represent their experience at CBS," Kahl said. "I'm not saying we're perfect. No large company is, and there's always room for improvement." Calling Moonves an "excellent boss and mentor," Kahl said it's been difficult at CBS since the allegations emerged, adding that everyone at the network and its producers are working hard to air the "best shows we can." When reporters questioned the effectiveness of CBS' policies given the Moonves and other allegations, Kahl defended them as sound. The New Yorker article, published July 28, said six women who had professional dealings with Moonves say he sexually harassed them between the 1980s and the late 2000s. Four of the women described forcible touching or kissing during business meetings, it says, while two said Moonves physically intimidated them or threatened to derail their careers. Moonves has acknowledged he may have made some women uncomfortable by making advances years ago but says he never misused his position to hinder anyone's career. The article also described a culture of misconduct that extended from Moonves to other parts of the corporation, including CBS News. It said men in that division who were accused of sexual misconduct were promoted, even as the company paid settlements to women with complaints. Diane English, executive producer of the original "Murphy Brown" sitcom and its upcoming revival, said during a critics' association panel on Sunday that all those involved with the show "support the investigation fully." "None of us have had any negative experience in that regard at CBS," English said. "I have never experienced any kind of sexual misconduct personally, or misogyny, and as far as I know no one on my crew has." The sitcom developed an episode about the #MeToo movement months ago, an indication of how seriously she and others with "Murphy Brown" take allegations of sexual misconduct, she said.